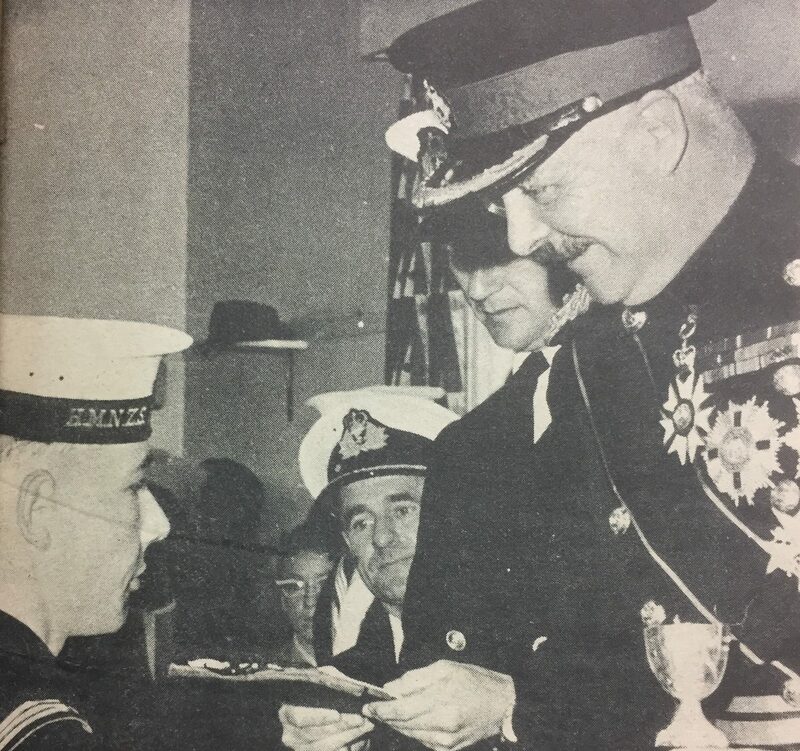 Here is an image of a young Communicator being presented with the Davis Goff Cup which was the best all-round non seaman award. Can you identify the HEGG and also the young Communicator? Thanks Fred W for the image. The source of the image is from a short-lived joint service newspaper called Action which was the pre-cursor to Reveille. look like a very young chris farrow.. but i dont remember the gg being present at any of our events at tamaki??? GG is Sir Bernard Fergusson (Nov 62 – Oct 67). The clues are the moustache and the monocole in the right eye.